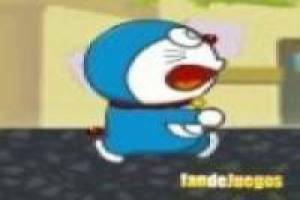 Doraemon, the cosmic cat, will need our help to escape a new big problem that he has to face. We' ll have to help him run as fast as possible while we pick up the food on the road. In addition to food, there are also some big holes that we must jump to not fall inside and lose our lives. You have to use the spacebar to jump at the right time, if you jump too soon you will fall into the void and you will have to start the game again. Get as far as possible by accumulating points and establish a good personal record. In the following games you must fight to overcome it and improve your skills little by little. 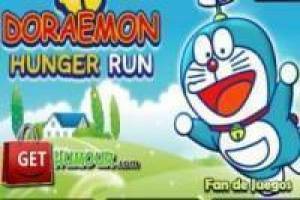 Enjoy the game Doraemon, run!, it's free, it's one of our doraemon games we've selected.